The essays in The Long Weeping traverse the full range of human experiences with grace. 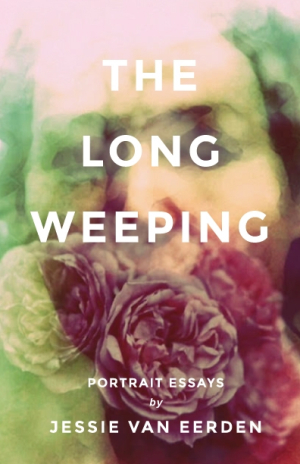 The Long Weeping, by Jessie van Eerden, hums with lyricism and insights that reach to the essence of life, grief, and the soul. These essays are sewn together by their common embrace of a deep spirituality, even in the midst of chaotic everyday life. Exemplified primarily by the feminine Beguines and by Simone Weil, Christian mysticism runs through the book. The body, including its tumultuous emotions, is seen as being as important and sacred as the nebulous spirit. It is only through successful integration of body and spirit, van Eerden suggests, that true healing can occur and resolve can flower. This is most clearly conveyed in the collection’s culmination—a lengthy portrayal of Rizpah, a concubine to Saul and the mother of sons who were killed by David when he ascended to the throne. She functions as a mirror for the soul, and shepherds the audience through the stages of grief. Modern touches include references to job interviews, grocery stores, and hotels, with a wealth of material gleaned from a small portion of the biblical text. Van Eerden partners with scriptures lovingly, allowing them to sing for themselves. Prose is tenderly poetic, and the presence of details from the author’s own life prevent obfuscation. Van Eerden often juxtaposes the gritty and simple reality of rural West Virginia’s poor with beautiful metaphysical insights, creating self-examining, autobiographical essays with a steady religious undertone. Van Eerden’s fundamentalist religious upbringing is recognized, not despised, as a vital part of her past, even as she moves into larger spiritual circles. Humility, warmth, and charm underscore the collection’s darker brushes with death, divorce, and self-doubt. Essays extend an invitation to peer through van Eerden’s particular window, which reveals the commonality of humanity despite differing circumstances. Traversing the full range of human experiences with grace, The Long Weeping insists that solace awaits on the other side of even the blackest tumult, if only it can be perceived and grasped.